It is a rare mishap for the giant C-5 cargo aircraft. C-5M Super Galaxy makes emergency landing. 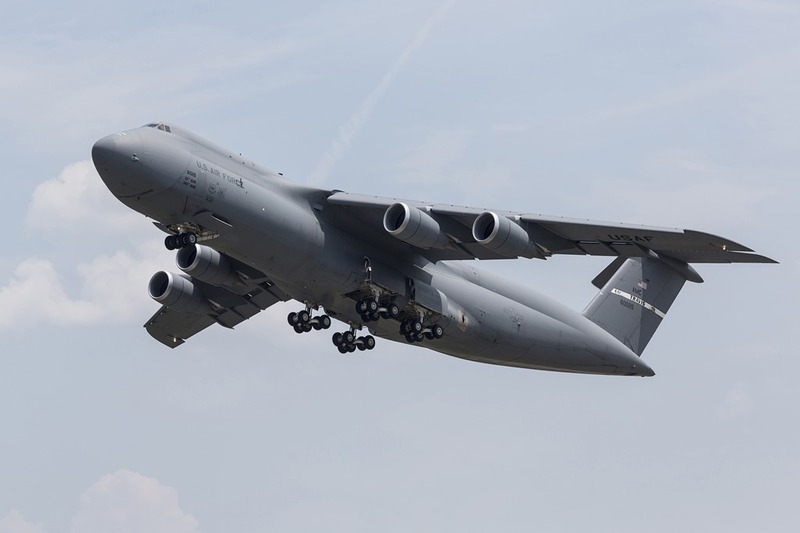 March 15 - An Air Force Reserve C-5M Super Galaxy cargo plane incurred an emergency landing at the Joint Base San Antonio-Lackland, Texas, due to a nose landing gear malfunction. The aircraft was returning to base from on a local training mission. The plane and crew are assigned to the Air Force Reserve Command's 433rd Airlift Wing. A total of 11 personnel was onboard. There are no reported injuries. The C-5M Super Galaxy is a strategic transport aircraft and is the largest aircraft in the U.S. Air Force inventory. Its primary mission is to transport cargo and personnel for the Department of Defense. The C-5M is a modernized version of the legacy C-5 designed and manufactured by Lockheed Martin. Currently the U.S. Air Force owns and operates 52 C-5B/C/M. They are stationed at Dover Air Force Base, Delaware; Travis AFB, California; Lackland AFB, Texas; and Westover Air Reserve Base, Massachusetts.